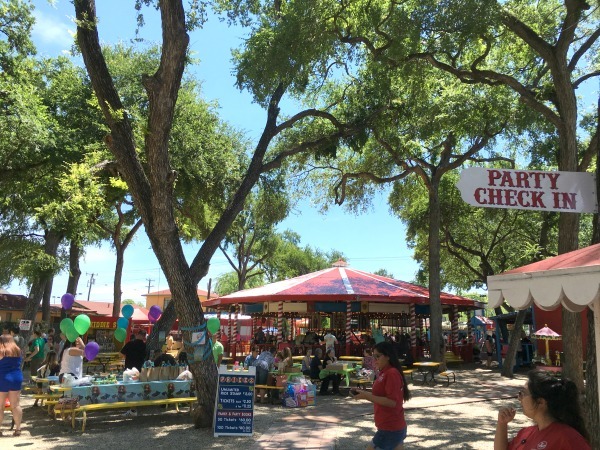 10 Free Things to do in San Antonio, TX - C.R.A.F.T. Note: Did you know that we’ve got 50+ guides with 10 fun, free family friendly things to do in cities all over the world! Check out the complete list here. I like to call it Creating Really Awesome Fun Trips! San Antonio is just a hop, skip, and a jump away from us here in Austin, TX. So, it’s crazy to me that I have not done a Creating Really Awesome Free Trips post for San Antonio. 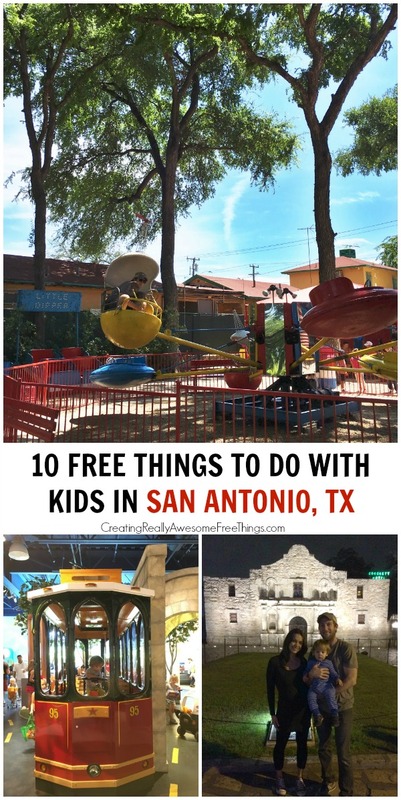 But, alas… I partnered with The Omni Hotel and the Colonnade to bring y’all 10 fun, free kid friendly things to do in San Antonio! 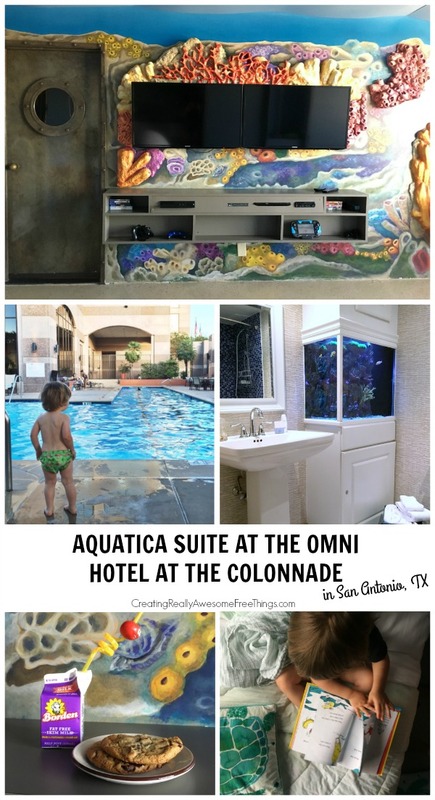 If you need a kid friendly place to stay in San Antonio, check out the Omni Hotel at the Colonnade! The pool situation is greatness because no matter the weather or the temperature, you can swim! There is a heated indoor pool and hot tub and a huge outdoor pool and hot tub. This was all sorts of awesome for Maxwell! (We did some night swimming!) We were lucky enough to stay in the Aquatica Kids Suite, complete with a salt water fish tank, glowing lights, books, toys (the LeapFrog letter discoveries was a huge hit), 2 murphy beds, and cookies and milk before bed. And then walk through the port hole door and voila… beautiful, relaxing parent suite! The suite is on the 15th floors and comes with breakfast! Yep, we had room service for breakfast 3 days in a row! Pretty heavenly (and delicious). Upon arrival, kids are greeted with backpacks full of goodies. Max was impressed to say the least. He is begging to have another “ah-ven-ter”! That’s adventure in case you don’t speak Max! The hotel is so fun, you might not want to leave, but try to take at least one afternoon and check out one of these fun things to do! 1. 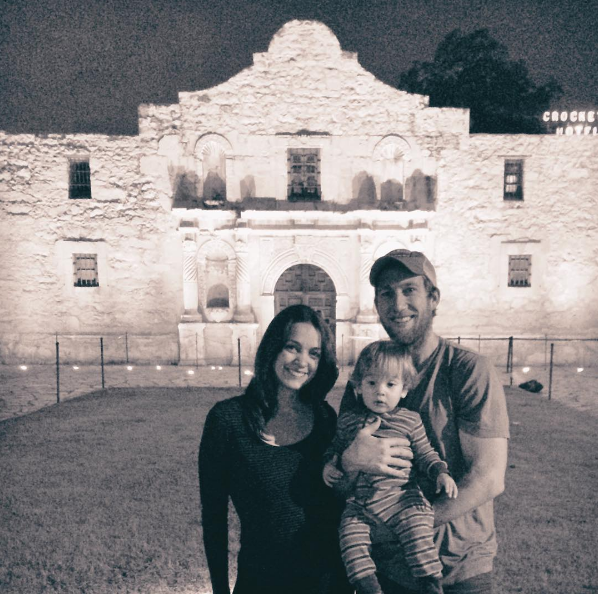 The Alamo: You can’t go to San Antonio without visiting the Alamo! It’s free and open everyday from 9-5:30pm. We actually decided to check it out at night. You can’t go inside, but if you’re just looking for a fun photo op and possibly some street shows, I totally suggest a nighttime visit. If you’re at the Alamo, your next stop should be the River Walk! 2. River Walk: Just a few blocks from the Alamo, you can walk down a flight of stairs to the River Walk. The River Walk flows through 5 miles of downtown. is apparently the #1 tourist attraction in Texas, who knew! We took a stroller on a recent visit, but I think I would avoid that when we go back. There are lots of restaurants, shops, and you can even ride a boat down the river! It’s $8.50 for adults and $2 for kids 1-5. Psst… parking downtown is free every Tuesday night from 5-2am. 3. 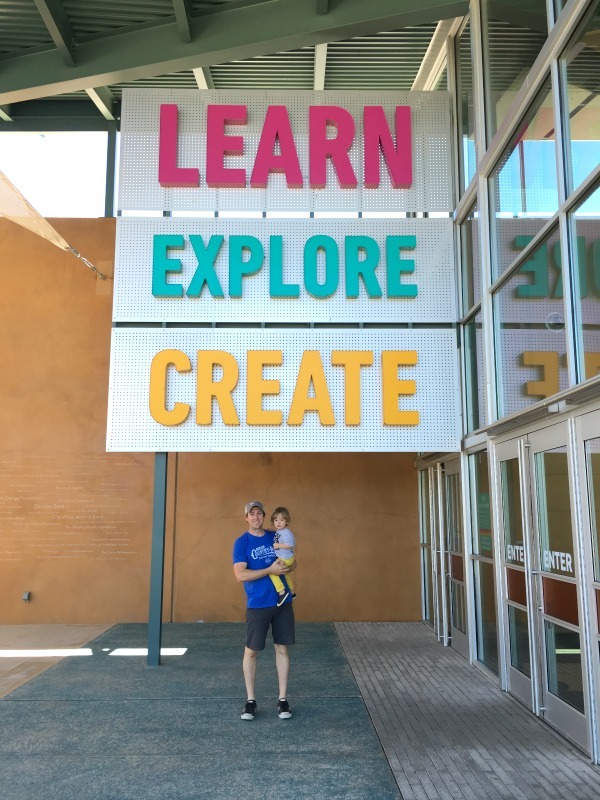 The DoSeum: This is San Antonio’s museum for kids, and it’s awesome! I put it on the free list because there are days and times you can go for free, but I also wanted to mention that if you are a member of a Children’s museum in your city, you can likely get into this one for free too! 4. The Witte Museum: This museum offers hands on science and history exhibits for kids! Free on Tuesday from 3-8pm. 6. 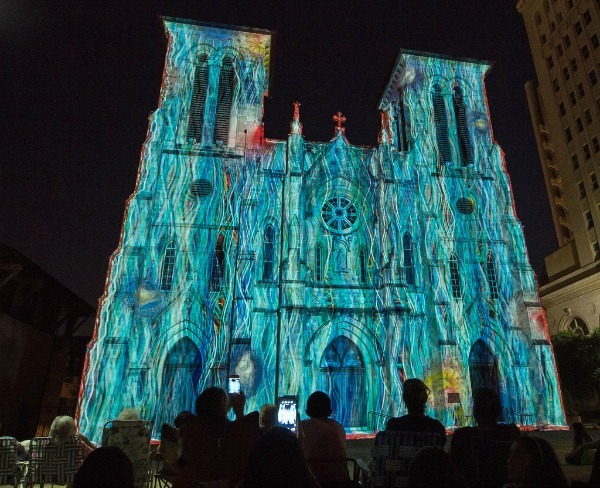 The San Antonio Museum of Art: This museum has lots of kid programming including an art crawl for kids 0-18 months, Wednesday morning playdates for kids 2-4, and First Sunday’s. (Read more about those programs here.) The museum also offers activity backpacks that you can check out from the museum gift shop for kids 6 and older. 7. Pearl’s Farmer’s Market: The farmer’s market runs rain or shine on Saturday from 9-1pm and on Sunday from 10-2pm. There are over 40 vendors and lots of free samples! While you’re there, you will definitely want to check out other happenings at Pearl. For summer 2016, there is a free concert series and lots of cute stores. I have also heard great things about La Gloria’s, a kid friendly restaurant that serves yummy street tacos. 8. Kiddie Park: This is not free, well kind of, adults are free! It is America’s oldest children’s amusement park. It only costs $13 per kid, and your child can ride any ride multiple times. Adults can ride the carousel and the helicopters with their kid for free. My two year old loved it! The park is very shady and is caddy corner to the DoSeum. If you plan on coming in the heat of summer beware, just know that it’s all outdoors. Also fair to note, that the one ride you have to pay extra for is the pony ride. This park is perfect for little kids! Oh and the bracelet is good all day long, so if you want to take a lunch break and come back in the afternoon, you can! 9. Yanaguana Garden: Young visitors can run, crawl, and explore in an area made just for them. Nestled beneath big, shady trees are spinning bowls, a rotating net climber, toddler swings and a sound art exhibit. 10. San Antonio Missions National Historical Park: The Missions were recently named a World Heritage site along side the Pyramids in Egypt and Taj Majal! There are 5 total missions situated on a 7.7 mile stretch of the San Antonio River, including the famous, Alamo. You can get to all 5 missions from the River Walk. There is also a hike and bike trail. Note: I received 3 free nights in the Aquatica kids suite in exchange for my honest opinion about our experience. No monetary compensation was received. I remember Kiddie Park from when I was a little girl. But then again my dad remembers it from when he was a kid too, and he’s in his 70’s. A wonderful park. Going this summer just wondering why you recommend not bringing a stroller? Hi Shelby! The Riverwalk has lots of stairs, so baby wearing is a lot easier on the Riverwalk.